Turns your android phone into a wifi connector Manager to Connect the Internet!! monitors the signal strength, channel graph, and channel interference of all the available wifi network analyzer. Free WiFi Connect Internet provides billions shared wifi password covering every corner of the world. 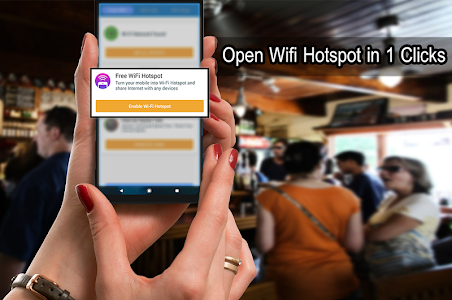 Based on your location， Will show Wifi hotspot on Map And Analyzer free wifi anywhere help to find free wifi connect without password smartly choose shared wifi hotspot for you for free wifi calling with wifi connector. All the WiFi passwords are shared by the user initiative, and through intelligent testing to ensure available. ■ Automatically join finder free wireless and share public and private wifi network analyzer. ■ The search list is just around the wifi connection. ■ Optimize Tablet & Mobile support. ■ Sort by name or wifi signal strength. 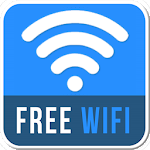 ■ Connect to all free Wi-Fi hotspot or access point. ■ Show SSID and WIFI Password. ■ Relevant data such as IP address, manufacturer, device name and MacAddress and IP Address. ■ Scan your wireless network for available access points. ■ Turn on/off connection radar manager if you want to reset your device. 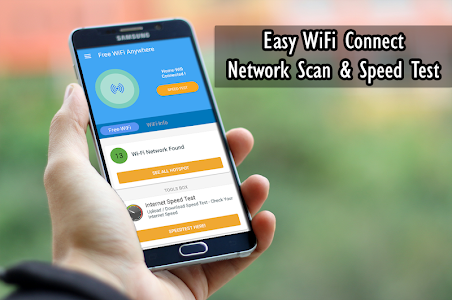 Wifi Free Connection Anywhere is the best Wi-Fi scanner, manager. 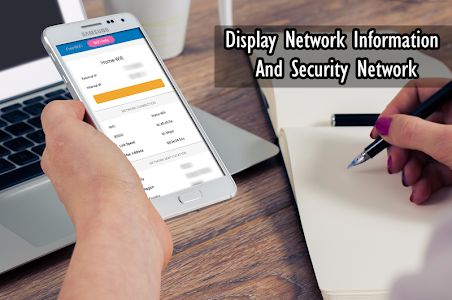 When you look at current wifi connection, you will see some of the information mentioned above, but also IP address of your device, MAC address, and link speed network . Introducing new Feature SPEEDTEST Plus (SPEEDTEST+)! Internet Speed Test can test speed for WiFi, GPRS, 2G, 3G, 4G, DSL, and ADSL. With just one tap you can now speed check, the internet speed meter, with the most accurate report, tests WiFi speed in seconds! It supports speed test of WiFi hotspots and GPRS (2G, 3G,4G). With WiFi speed test and internet speed test that makes you get test results fast, this master version is lite.! ■ Discover your Download, Upload, and Ping. ■ Tests download speed (downlink). ■ tests upload speed (uplink). ■ Test the ping speed of WiFi hotspots on DSL, ADSL, cable wifi connections. ■ History Record of results speed test show time ping upload download speed. Keep track of your tests in your personal results. This includes download and upload speed, ping. ■ show IP address display. ■ Easily share your results. ■ Help make finding Free Portable Wifi Hotspot which one is better testing with fast network wifi connection. ■ Compare your different GPRS, 2g, 3g, 4g, LTE cell speed tests. Test the Download and Upload Speed and Ping of WiFi Hotspots on DSL, ADSL, cable connections. Internet Speed Test will test your internet speed through thousands of servers worldwide wifi network connect . Free Portable Wifi Hotspot application is able to broadcast wifi, share wifi tethering hotspot from your phone in the high-speed, secure and simple way. NOTE: This application is not tools for Wifi Hacker Or Wifi Password Hacker. ?? Thank you all you guys for support us! Every feedback we are working on it to improve bug fixes and updated features as soon as possible. Similar to "Free Wifi Connection Anywhere & Mobile Hotspot"